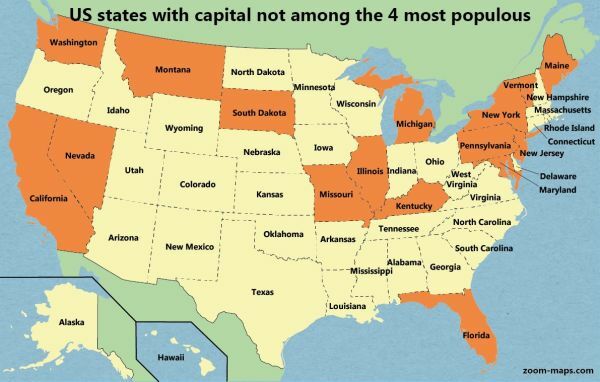 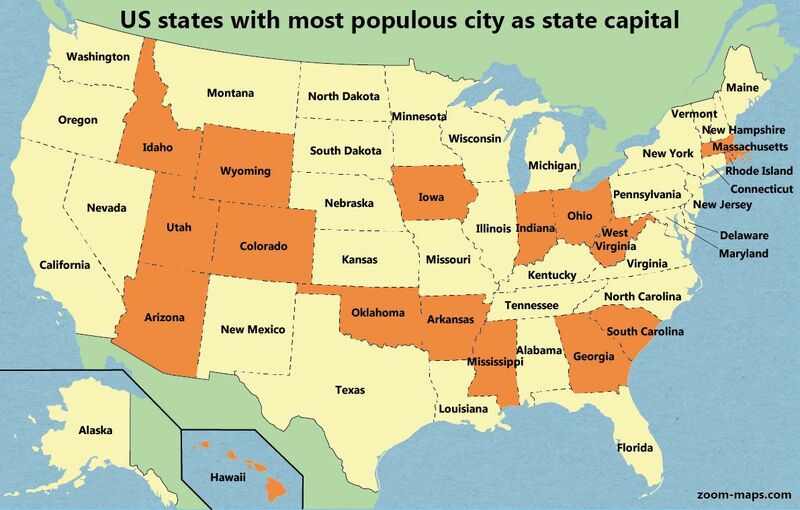 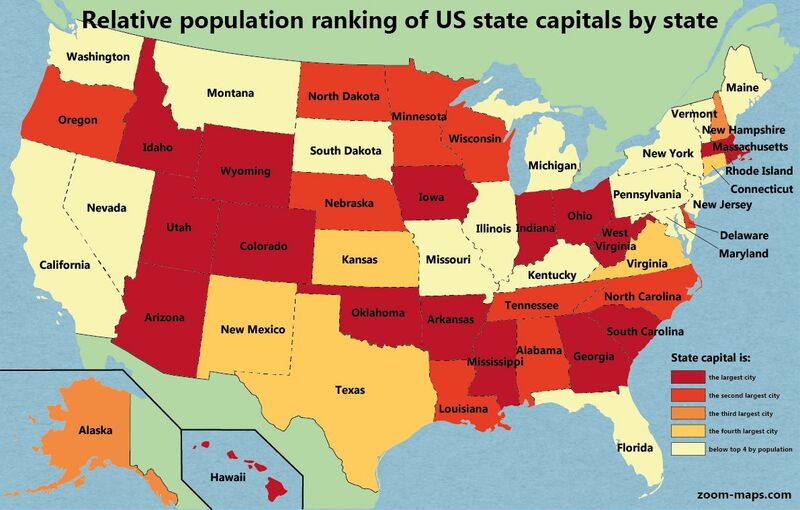 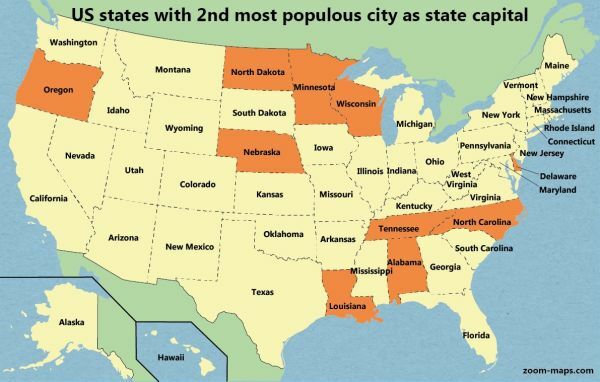 Here is a map on how US state capitals are ranked by population in each state. Check this Wikipedia entry for the source of data. Idaho, Wyoming, Utah, Colorado, Arizona, Oklahoma, Arkansas, Iowa, Mississippi, Indiana, Ohio, West Virginia, Georgia, South Carolina, Massachusetts, Rhode Island. Oregon, North Dakota, Nebraska, Minnesota, Wisconsin, Louisiana, Tennessee, Alabama, North Carolina, Delaware. 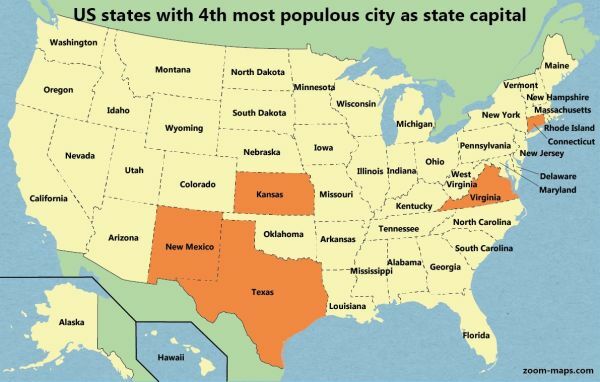 New Mexico, Texas, Kansas, Virginia, Rhode Island. 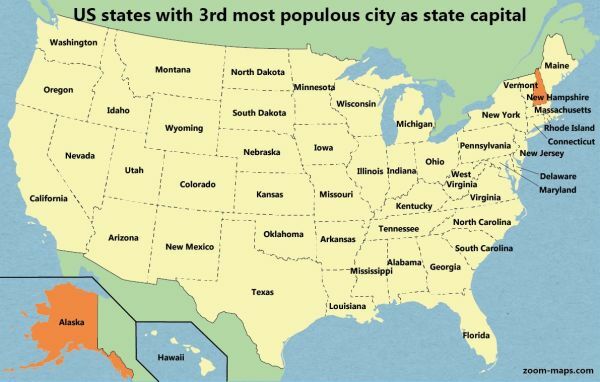 Washington, Nevada, California, Montana, South Dakota, Missouri, Illinois, Michigan, Kentucky, Florida, Pennsylvania, Maryland, Delaware, New York, New Jersey, Vermont, Maine.